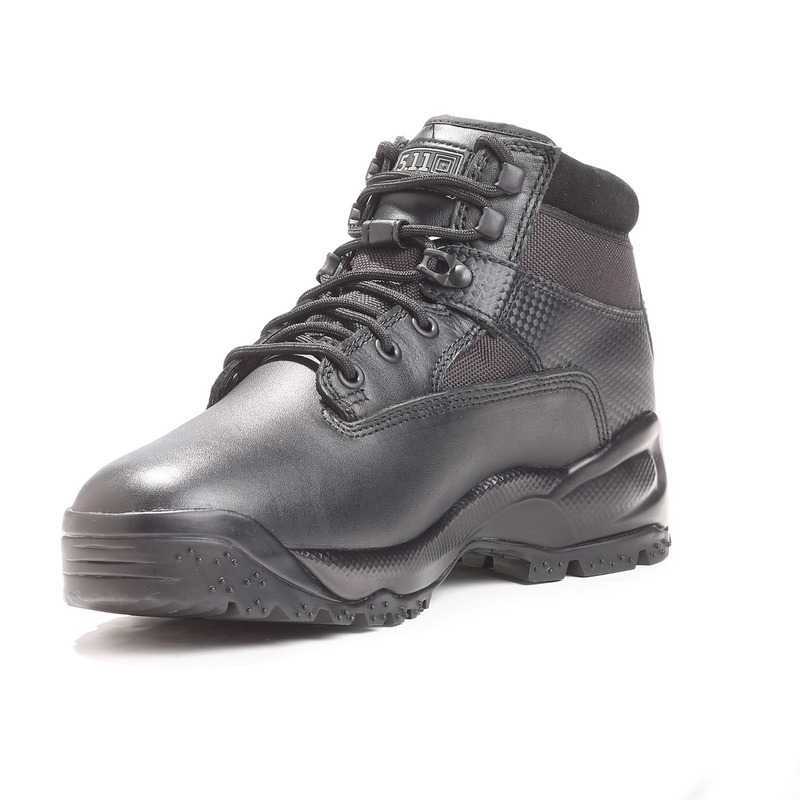 The 5.11 ATAC 6" Quarter Boot is perfect for the officer who prefers an ankle-height boot. The polished leather toe maintains a neat, clean and professional look and meets most organizational requirements for black leather boots. The nylon upper is comfortable and durable. Includes 5.11's trademark Shock Mitigation System to offer you the ultimate in support for high impact activity. The 5.11 Shock Mitigation System is lightweight with superior compression and rebound resulting in comfort, stability and optimal speed. 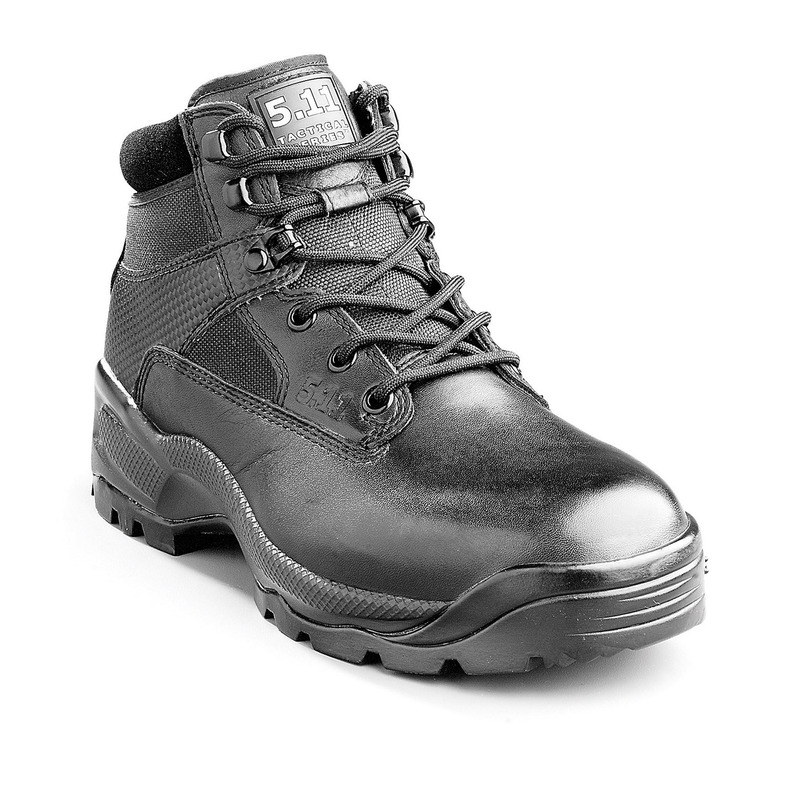 The 5.11 ATAC 6" Quarter Boot is an exceptional value for patrol. With features found in boots often twice the price these boots will be you duty footwear of choice as soon as you wear them. 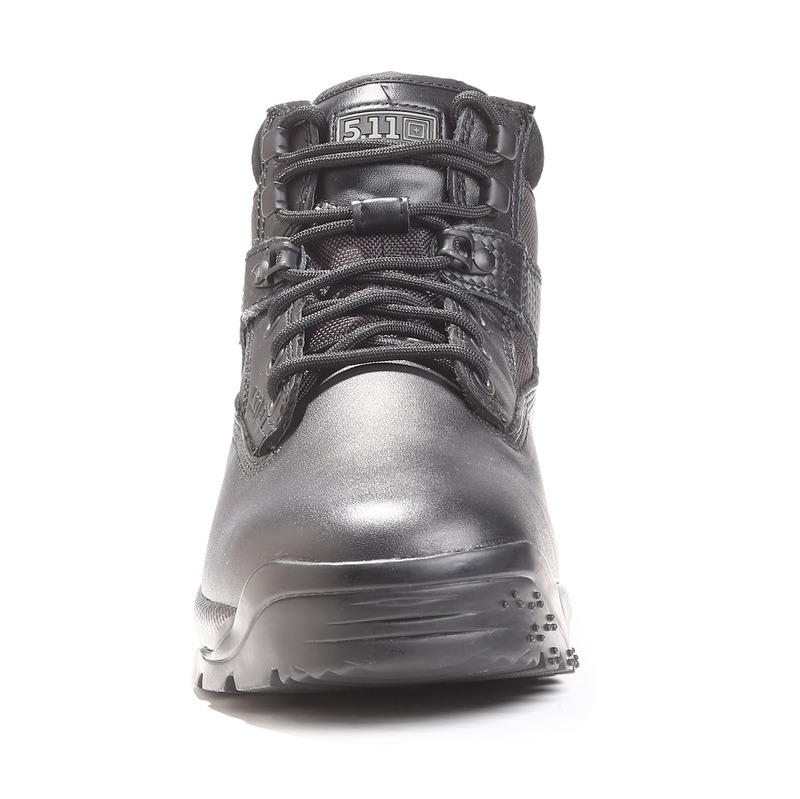 The 5.11 ATAC 6" Quarter Boot is designed for routine patrol shifts. This boot is lightweight with superior compression and rebound resulting in comfort, stability, and optimal speed. You can wear this boot right out of the box with no break in period. You'll feel like you are wearing running shoes because 5.11 designed these boots to be fast. The lacing system makes it easy to get into and out of the 5.11 ATAC 6" Quarter Boot. 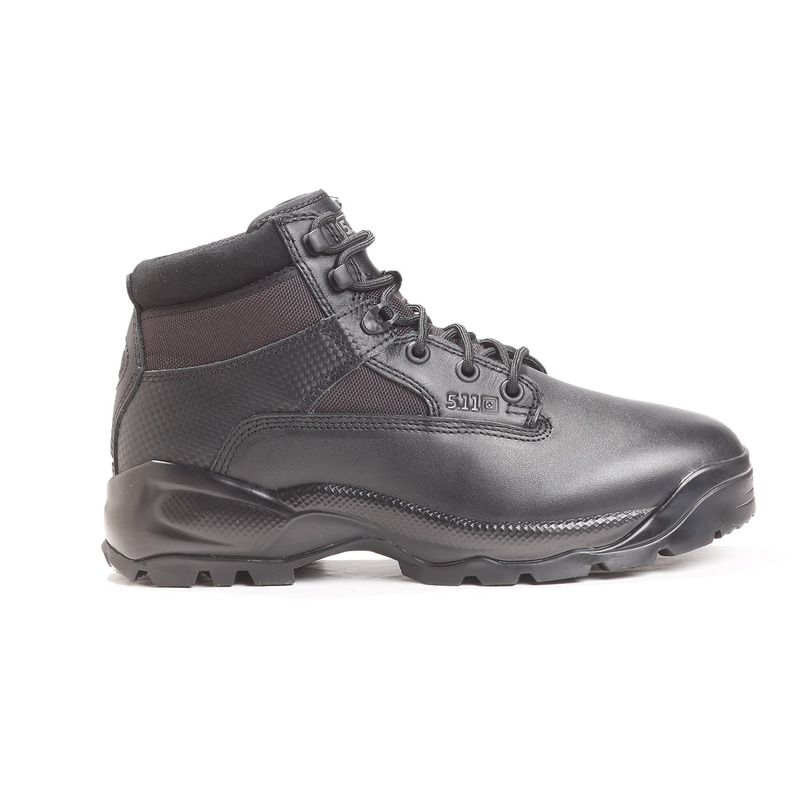 The oil and slip resistant quiet outsole allows you to move quietly in any tactical situation, even on wet surfaces. 5.11's antibacterial and moisture-wicking lining will keep your feet comfortable and dry throughout the day so you'll be ready to keep going even after a long duty shift. The leather on the 5.11 ATAC 6" Quarter Boot holds a great shine and the quality full grain leathers that we use will last and last. The hardware on the 5.11 ATAC 6" Quarter Boot is built to last. The shoelaces are anti-static, anti-snag, have plasteel lace tips and are extra tough. 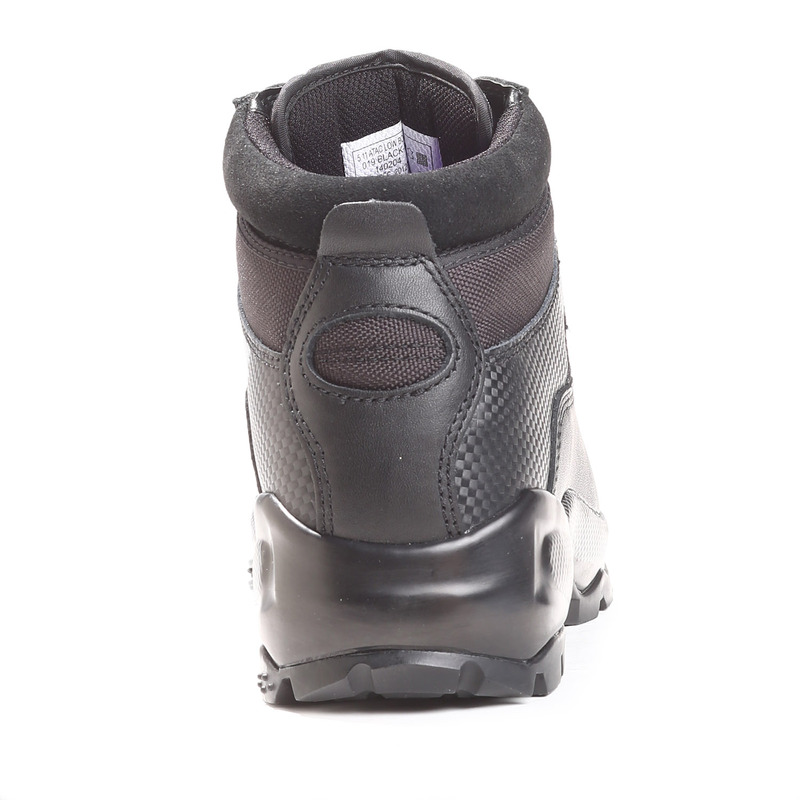 The eyelets of the boots hold tight and perform no matter what the work conditions. 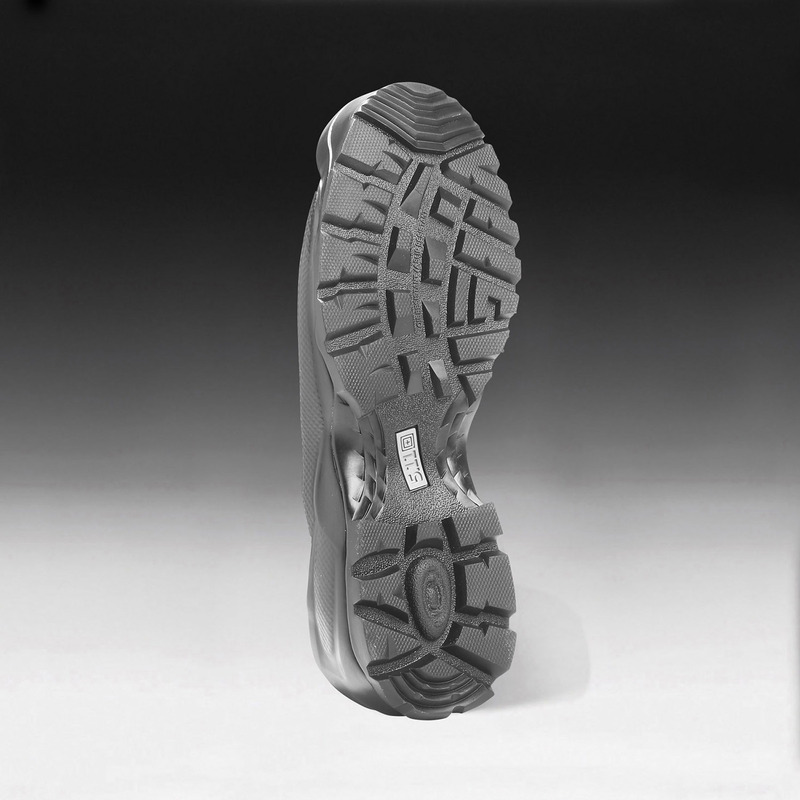 The oil and slip resistant, quiet outsole is durable and functional, allowing you to move with stealth and confidence in any situation. Ready to wear right out of the box, you'll think your 5.11 ATAC 6" Quarter Boot is a running shoe rather than a work boot. 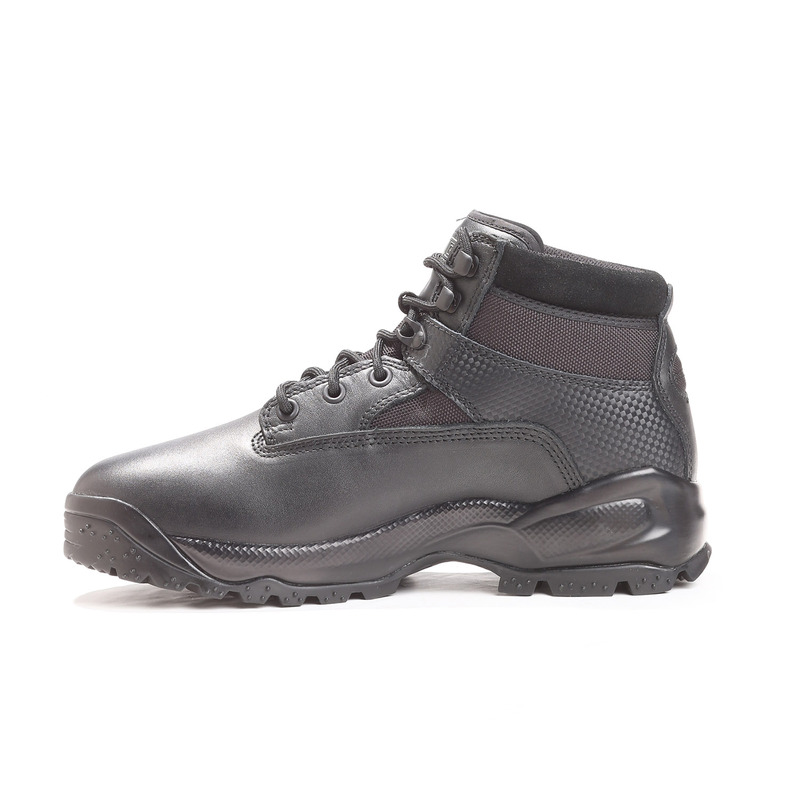 Engineered with feedback from the special operations community, these boots exceed boundaries in all types of footwear on the market, including high-end running shoes.